The gadget-and-tool gurus at Leatherman out of Portland, OR, have teamed up with skate pro Arto Saari for his expert input on this all-purpose skate and snowboard tool. Actually, it’s more like two tools in one — the Leatherman “Jam”, plus the black “Style PS” wrapped around it. Whether you need to wrench your trucks, stash your earbuds, rip grip tape or make it past airport security, the Jam + PS Skate Tool was made with you in mind. 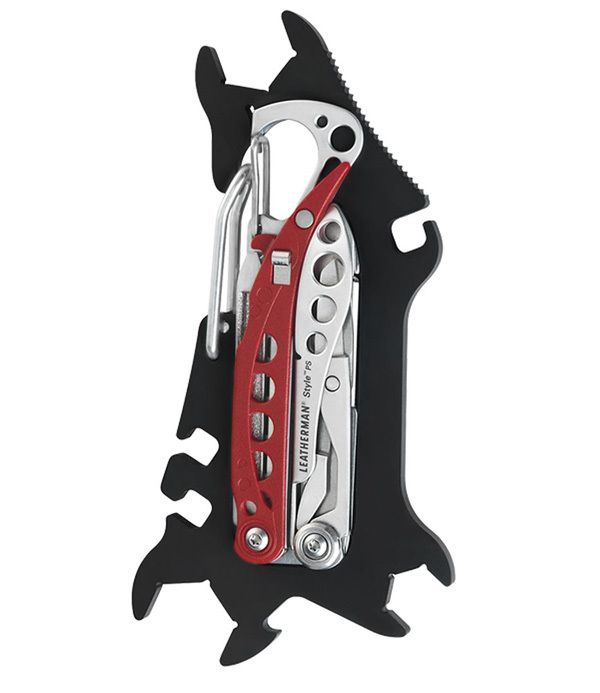 With 13 functions in all, this multitool has options in pliers, files, wrenches, tweezers and a trusty ever-important bottle opener, all made from 420 stainless steal and black-oxide coating. Built to last and built for travel — the PS Skate is TSA compliant — for $47.